The film Brooklyn, released in November 2015, frames the wave of migration from Ireland to the US in the 1950s through the experiences of the fictional character Eilis Lacey. Eilis, played by Saoirse Ronan, is not quite twenty years old when she leaves her widowed mum and older sister behind, in the small Wexford town of Enniscorthy. A local priest has arranged a job for her on the shop floor of a department store, and lodgings in a boarding house, in the Brooklyn parish where he is now posted. From the moment Father Flood’s offer is accepted, the film charts Eilis’ transformation; as she deals with the loss of her former life and navigates an entirely new one, and ultimately faces the choice between everything that is familiar to her in her home town and all that she has built, on her own steam, in Brooklyn. The film is set against the backdrop of semi-rural Irish innocence and melting-pot Brooklyn, with moving scenes of departure, grief and longing, comical cameos and a romantic twist that forms the crux of the story. Add Irish-American actress Saoirse Ronan in the lead role, Julie Walters as an eccentric landlady, Jim Broadbent and a smattering of up-and-coming talent from both sides of the Atlantic and you have, I suppose, the ingredients for film success. As an Irish immigrant living in the US, the film resonated deeply with me. I wept in my local cinema in Pittsburgh, as Eilis waved goodbye to her family from the deck of the boat, New York-bound. I wept through the scene where Eilis serves Christmas dinner to the down-at-heel, veteran Irish migrants of Father Flood’s parish, their collective longing for a home that’s not theirs anymore evoked by the fiddle and ballad voice of one of their members. I wept at Eilis’ mother’s suffering, which was buried deep in her and rendered her remote at a time when Eilis needed her. The film was a triumph, I thought. Everyone should see it. Did others watching the film, without first-hand experience of the intensity of homesickness or the pull of Ireland feel the same way? Brooklyn performed modestly at the Box Office, but did earn three Oscar nominations, for Best Picture, Best Actress, and for its screenwriting, adapted by Nick Hornby from Irish writer Colm Tóibín’s novel of the same title. Rotten Tomatoes gives the film a thumbs-up, with a 96% positive rating, and yet there are scathing reviews of the film out there, most notably from Richard Brody writing for the New Yorker, which I must admit I did not read until well after I’d seen the film myself. Others praised the film but echoed Brody’s complaint of over-simplification, remarking that without Ronan’s midas touch, Brooklyn could feel “like an airport romance novel” (David Sims, The Atlantic), that it offers a “rose-tinted peek” at what our ancestors went through and that it lacks urgency in the second half of the film, causing it to “run out of steam just short of landing” (Jordan Hoffman, The Guardian). I couldn’t tell if it was me transposing my immigration journey onto Eilis’, or Saoirse Ronan’s acting, or the entire film production, that effected such an emotional response in me. I decided to watch the film again, and get my hands once more on Tóibín’s novel, to find out if I could be a little more objective in assessing the film’s merits. It was through reading the book given to me by my Irish-American cousin back in 2012 that I was first introduced to Eilis Lacey. My situation in Pittsburgh was very tenuous, the time remaining on my J1 work visa slipping too quickly through the hourglass. I latched onto Eilis’ character like I latched onto the idea of a life in Pittsburgh, and not least because both of our stories were complicated by romance. Not long after arriving in Brooklyn, Eilis sinks into a bout of homesickness characterized by guilt, panic, loneliness and sleeplessness. With the intervention of Father Flood, who enrolls her in a night-class so that she might focus her thoughts elsewhere, and the passing of time, Eilis gradually becomes accustomed to her daily routine. However, it is when she meets Tony at a local dance, that she really begins to shine in her new world. He’s an Italian-American from a working-class family who loves the Dodgers and wears his heart on his sleeve. 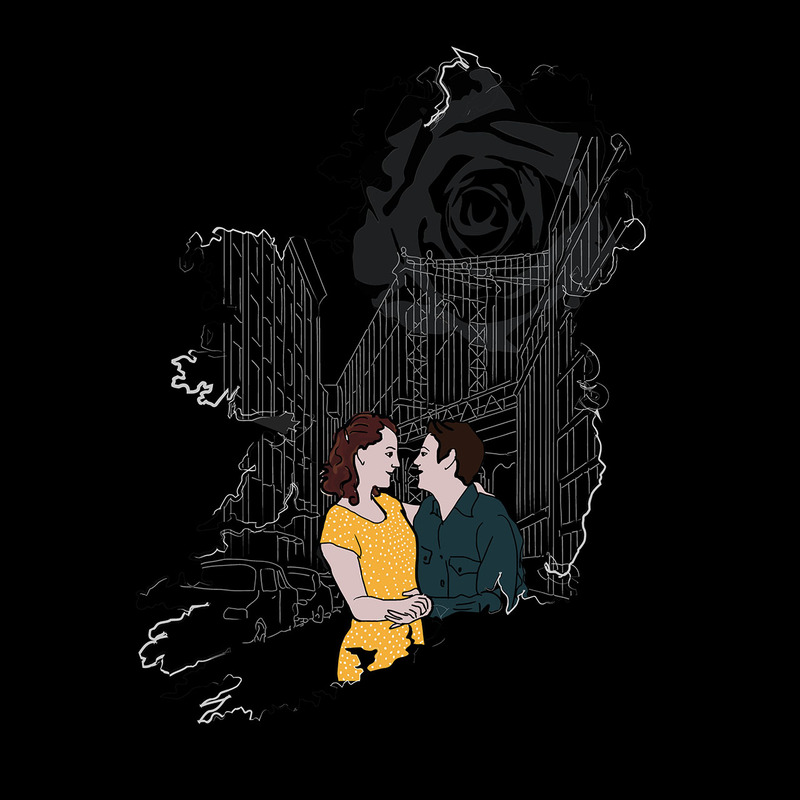 As their feelings for each other deepen, Eilis begins to see a future for herself in New York. 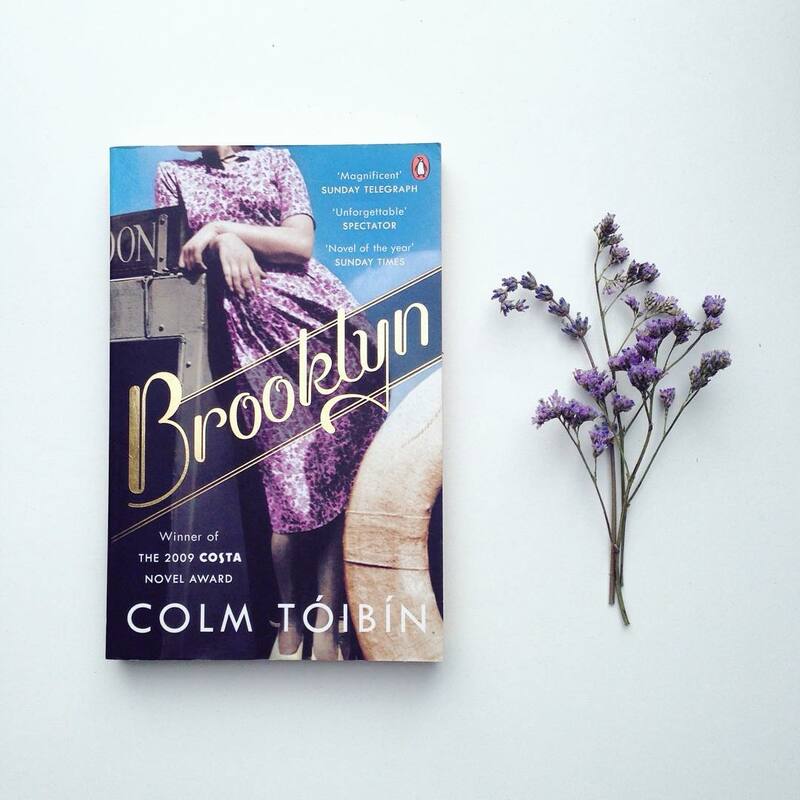 After struggling with homesickness during my six months in Pittsburgh, I found myself dreading going home at the time of reading Brooklyn. I, too, was falling in love with an American. I needed reassurance that I could adapt all over again to different surroundings, to loss, and to uncertainty. The book provided this to me in Eilis’ extended visit to Ireland, when family ties call her back. During this time, opportunities that were denied to Eilis before she left for America are suddenly hers for the taking. She is offered a job doing book-keeping at a local office, is sought after socially because of her Brooklyn department-store sophistication and her new confidence, and is pursued by the catch of Enniscorthy, Jim Farrell. It is as though Ireland, having turned its back on Eilis, wants her back. She falls into the rhythm of the familiar and finds herself enjoying Jim’s attentions more and more. She feels the lull of security wash over her like the lapping waves on the Wexford strand she walks with Jim, even as Tony can barely contain his fears that she will not be returned to him, that Ireland will keep her. That there was possibility for Eilis both in Wexford and Brooklyn was important for me to know. Yes, this is fiction, I said to myself, but the impact on me of reading Brooklyn was the fortified sense that I’d be okay whatever happened, wherever I ended up. The film version remained faithful to Tóibín’s story, but because I wasn’t separated from Eilis by the language of ‘she thought, she wondered, she felt’, I could really become her. The movie released three years after I read the book, in the midst of my own personal drama. I had since married the American, negotiated the visa game and moved permanently to Pittsburgh. All of that additional experience I poured into Eilis. Some of the criticisms I read of the film were that it was pared-down to a degree that rendered it meaningless, that dialogue was sparse and the characters barely sketched beyond the one-dimensional. The actors had little to play with, and few except for Ronan made an effort to portray depth of personality. On my second viewing of the film, at home on the couch with my husband, I noticed that details were indeed scant, that the story was simplified from its original and therefore lacked nuance. Perhaps all these things for which the film was criticized were what made it so easy for me to enter into on first viewing. I filled all the gaps with my re-lived emotions, memories, and the tucked-away knowledge from the novel that I’d already molded for my own purposes. My husband preferred the film on second viewing, as he took note of historical references such as the ill-feeling between Irish and Italians in Brooklyn and other immigrant communities in the US in the 1950s. We both enjoyed the comic value of Julie Walter’s landlady, Mrs. Kehoe, and the silliness of the other young women boarders, one-dimensional or not. Eilis’ long trip back to Ireland took on new significance for us. My husband saw how the events that unfold there and Eilis’ indelible connection to her homeland are vital elements of the story. What really struck me about those later scenes in Ireland, was the degree to which things were arranged for Eilis in order for her to want to stay, as though it were a conspiracy of the town of Enniscorthy, or the townspeople, to keep her. It was easy for me to forget that invisible strings brought Eilis to Brooklyn in the first place, or not so invisible, in the form of Father Flood and her sister, Rose. Tom Deignan. Forty Shades of Brooklyn. April/May 2015.
http://irishamerica.com/2015/03/forty-shades-of-brooklyn/ Accessed on Jan 1, 2018. Mary Kate McCann. Irish Migration in 1950s and 1980s. December 6, 2012.
https://prezi.com/ptvyjprgky-s/irish-migration-in-1950s-and-1980s/ Accessed on Jan 1, 2018. Colm Tóibín. Colm Tóibín on filming his novel Brooklyn: ‘Everyone in my hometown wanted to be an extra’ October 10, 2015.
https://www.theguardian.com/books/2015/oct/10/colm-toibin-film-brooklyn-novel Accessed on Jan 1, 2018. Maeve Rafferty, an Irish woman transplanted to Pittsburgh, Pennsylvania, writes often about the tug-of-war experience of having two homes. Several of her short personal essays have been published in Irish Times Abroad. Writing became a reality rather than a dream on her move to the US in 2010. 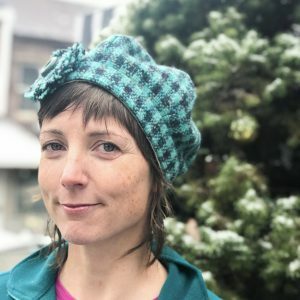 A graduate of University College Dublin, she holds a BS in Environmental Biology and has over a decade of experience in the nature conservation field in Ireland. In Pittsburgh, she teaches environmental education and works in urban forestry. In her spare time, she writes fiction and non-fiction, and devours books and films. Juliet is an editor, an avid reader, and Instagrammer @julietslibrary. 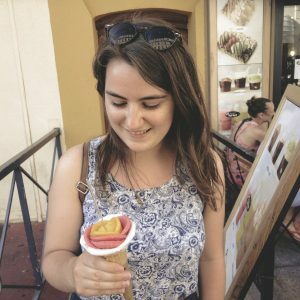 She posts photos of her latest reads, favourite books and recent book purchases and loves talking about all things bookish with other readers online. Her favourite author is Chimamanda Ngozi Adichie. 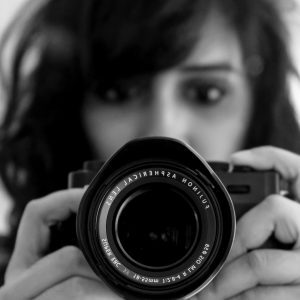 Pallavi is a doodler and photographer who very often is confused about life. She dreams of space, mountains and travel. You can follow her creative adventurous journey at _butterfeet on Instagram.